June 4, 2018  The first time Kidjo heard Talking Heads' "Once in a Lifetime," she knew it was an African song. 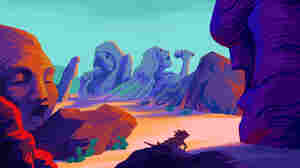 Almost 35 years later, her new cover album sounds as if it really had been conceived in West Africa. May 31, 2018  Talking Heads' classic Afrobeat-inspired album gets the cover treatment by the Beninese star. May 29, 2018  All Songs Considered hosts Bob Boilen and Robin Hilton share this week's must-hear music, including an incredible new cut from singer James Blake, guitar rock from New Zealand, and more. 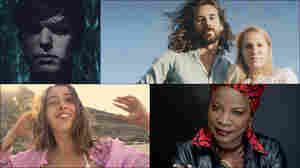 August 11, 2017  Can one song that speaks out against child marriage make a difference? 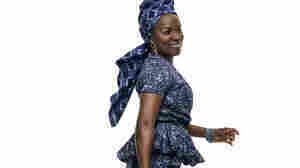 Says Kidjo: "Silence is what has allowed child marriage to continue." December 15, 2016  The internationally celebrated musical force brings her tireless energy to KCRW's studio. 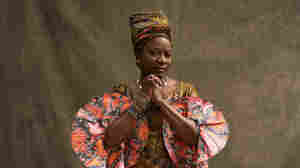 April 28, 2014  The Benin-born artist has been called "the undisputed queen of African music." 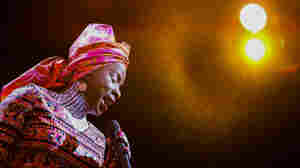 In this performance, she pays homage to the great Miriam Makeba and performs songs from her latest album, Eve. 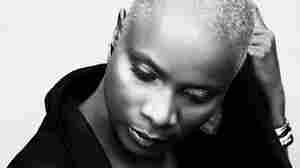 May 15, 2007  Singer Angelique Kidjo hopes to change the world, one record at a time. 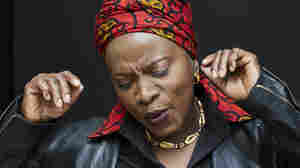 NPR's Farai Chideya catches up with Kidjo to talk about her new album, "Djin Djin." 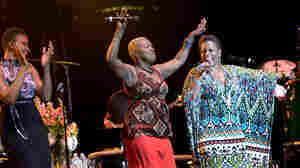 January 1, 2012  Three women with superhuman voices — Angelique Kidjo, Dianne Reeves & Lizz Wright — have been touring together under the banner Sing The Truth! 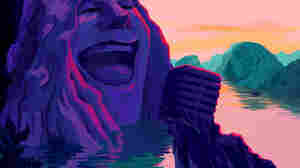 The idea is to perform songs of empowerment and love. 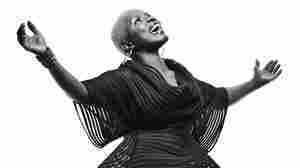 April 8, 2010  Growing up on the southern coast of Benin, Kidjo was surrounded by music, both at home and in the crowded marketplaces nearby. On her new album, Oyo, she pays tribute to some of the artists who influenced her, and further cements her status as a unique voice. 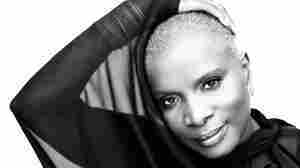 April 8, 2010  On her latest album, Oyo, Kidjo pays respects to the artists who influenced her by offering her take on some of their songs. 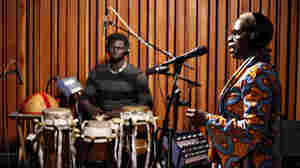 Her version of Santana's "Samba Pa Ti" is just one of the songs the African singer performs in this World Cafe session. 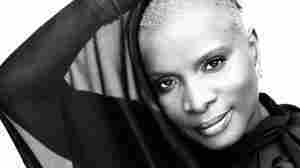 April 8, 2010  Kidjo's music is completely contagious, with rhythms that sound like a complex combination of soul and Brazilian music. At its core, though, her work reflects her West African roots. 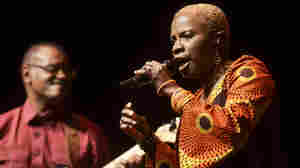 Hear a complete concert Kidjo recorded for WFUV in New York City. 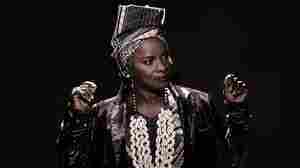 May 1, 2007  The title of Kidjo's latest album, Djin Djin, translates to "seize the day" — an appropriate directive from the West African singer, whose career spans 20 years. 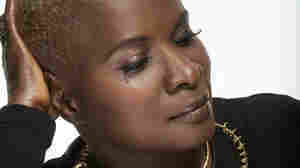 Kidjo fuses Afro-funk, salsa, reggae, gospel, jazz and more with American rock, pop and soul.